Medistem Panama operates an 8000 sq. ft. laboratory that features 3 class 10000 clean rooms, 8 class 100 laminar flow hoods, and 12 class 100 incubators. 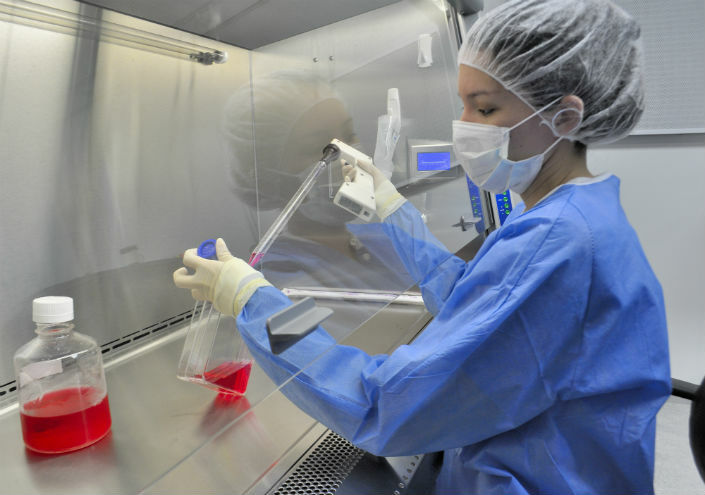 We are ISO 9001 certified and licensed by the Panamanian Ministry of Health to develop the process of production, expansion and storage of stem cells and stem cell products for therapeutic uses. President and founder, Neil H. Riordan, PhD established his original stem cell lab at the Institute of Cellular Medicine in Costa Rica circa 2005. In 2008 he launched Medistem Panama Inc. at the prestigious City of Knowledge. Medistem Inc. has established scientific background and developed technology alongside US universities and important research centers around the world including the University of San Diego, University of Utah, University of Western Ontario, University of Florida and University of Massachusetts. Our research has led to dozens of scientific publications and seventeen pending patents. Medistem also isolates, processes and prepares stem cells for the Stem Cell Institute in Panama City; one of the leading stem cell treatment facilities in the world.